The Redlake Room is named after the river which flows through Chapel Lawn. It is a spacious ground room with its own private entrance. There is a luxurious king-size bed with a sumptuous duvet and super-comfy pillows. 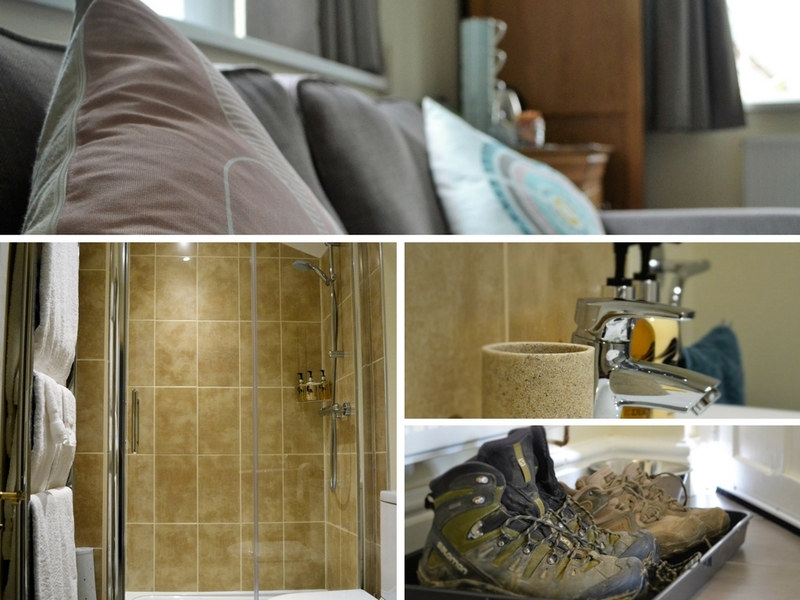 The en-suite bathroom has a spacious shower, with fluffy towels and complimentary Duck Island toiletries to pamper yourself. Touch lamps on the bedside cabinets and USB charging points are just some of the little touches you'll find in this bright and airy room. There is also a well-stocked welcome tray with a variety of teas and coffees and a silent mini-fridge with fresh milk.Wine glasses and a bottle opener are provided. Views are across the Redlake Valley towards Caer Caradoc. We are happy to welcome one well-behaved dog in our Redlake room - please see our dog friendly page for more details. "Superb dog-friendly room. Loved all the extras including dog treats and some human ones as well! We felt very much at home." 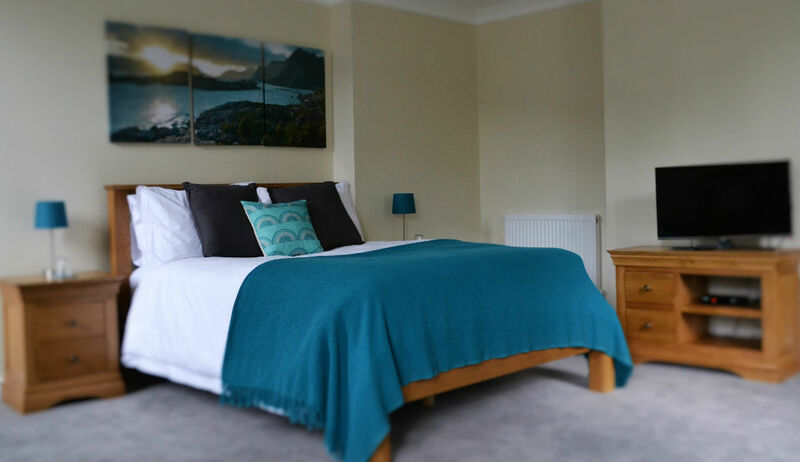 "Lovely room, would have liked to stay longer for walking." "We have had a wonderful stay and made to feel most welcome. Very spacious room, clean and extremely comfortable." "Wish we could have stayed longer, everything perfect. Very happy dog loved his treats!!"